Hello! 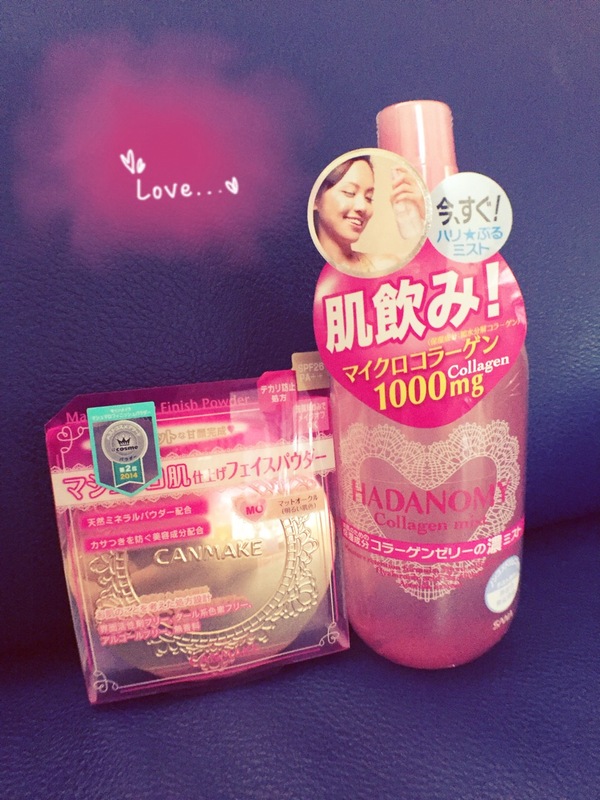 I’m back with another post on my beauty buys in Osaka. This time round, I’m sharing the products I’ve got from my drugstore haul! Drugstores are everywhere in Japan and you can see a Matsumoto Kiyoshi store in almost every corner. I love walking down the aisle of beauty products, it’s literally beauty heaven for beauty junkies like me. My mum have to pull me away from the drugstore. Haha. The products I’ve gotten can actually be found in Singapore for most but they are like a fraction of the price in SG. Everything except the Canmake Powder cost below $10 SGD!! The first thing I got are some lip balms. Lip balms is an essential beauty product that everyone should have to keep your lips moist and supple! 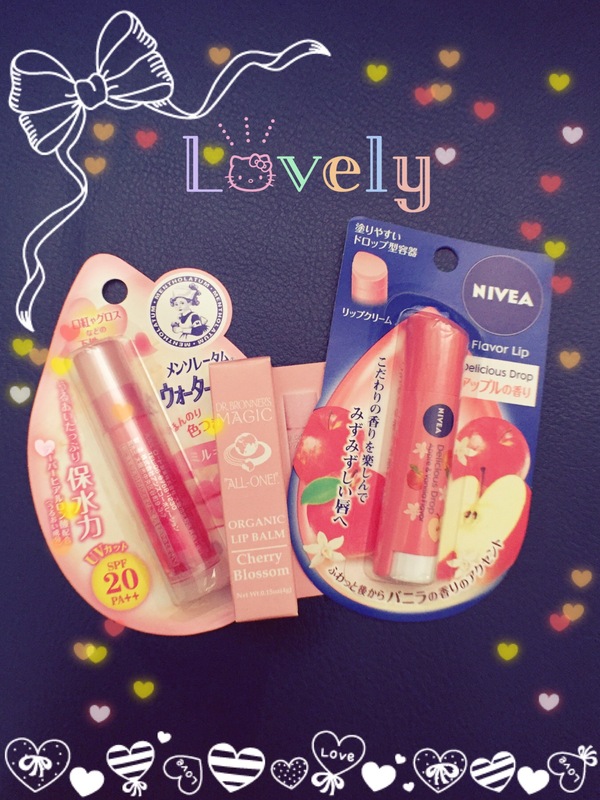 I’m currently using the Cherry Blossom one in the middle and I really like it as it does keep my lips supple without me exfoliating it for weeks. I got the Nivea one because of the unique teardrop shape. All these are about 400 yen each. Body care is often neglected when we are putting in so much effort in our face. I personally feel that we should take equal care of our body, hands especially. 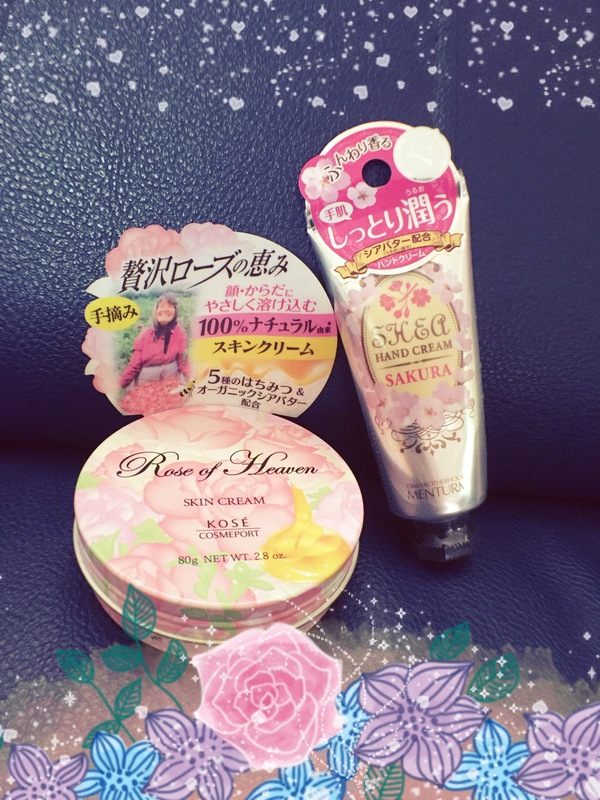 Sakura hand cream for me! My mum bought loads of hand cream for her colleagues and all of them raved about it. If I’m not wrong, the hand creams in the drugstore ranges from 200 yen to 700 yen or more. I also got this Kose Skin Cream simply cause of the packaging. It’s apparently for the face too but I’m going to just use it as a body cream. It reminds me of the blue Nivea Cream tin but 100 times prettier. Lol. These items are essentially repurchases. I love the Canmake Marshmallow Finish Powder and it was going on sale so I have to grab one! I would have grab more if my mum didn’t stop me. 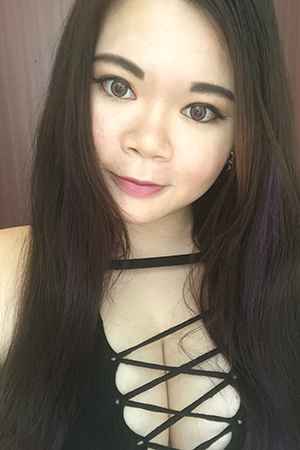 I love the Hadanomy Collagen mist and have been through bottles of it in the past but it’s so expensive in Singapore! I think Sasa is selling it for more than $20 but this bottle is only about 700 or 800 yen! So that pretty much sums up my drugstore haul in Osaka. Honestly, I didn’t get a lot of stuff but I did enjoy window shopping in the drugstores! Also, sometimes one drugstore can be cheaper than another. But my advice is to just buy because the difference is probably just 20-100 yen which honestly is not a lot. Most are a lot cheaper as compared to SG prices already. And you might not find the same thing in another store. Check out my other buys from Osaka here! And also my other post on Osaka! 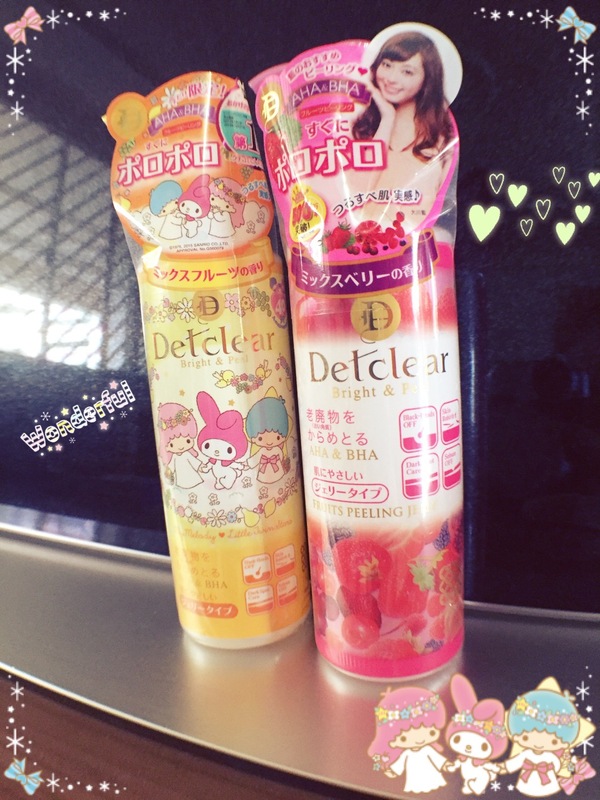 I still have yet to blog about USJ and Kyoto and some of my other beauty purchases. So stay tuned! Hi everyone! I’ve since ended my 10 sessions of the Bsoul Facial Treatment Program kindly sponsored by Hygeia. So it’s time for a review of the whole program. First, let’s look through the before and after photos of the 9th and 10th sessions. Yes, it does work. However, I must say that the results varies for individual. Personally, my results is not really obvious visually as I’ve Rosacea and it also take time for the scars to heal up and disappear totally. But I can feel that my skin texture improved by a lot and my skin seems to be able to absorbs products so much better now. Acne takes a lot faster to heal without even using any additional pimple cream. The Bsoul Comfort Cream is like my best friend for calming down my skin and to provide moisture to it at the same time. 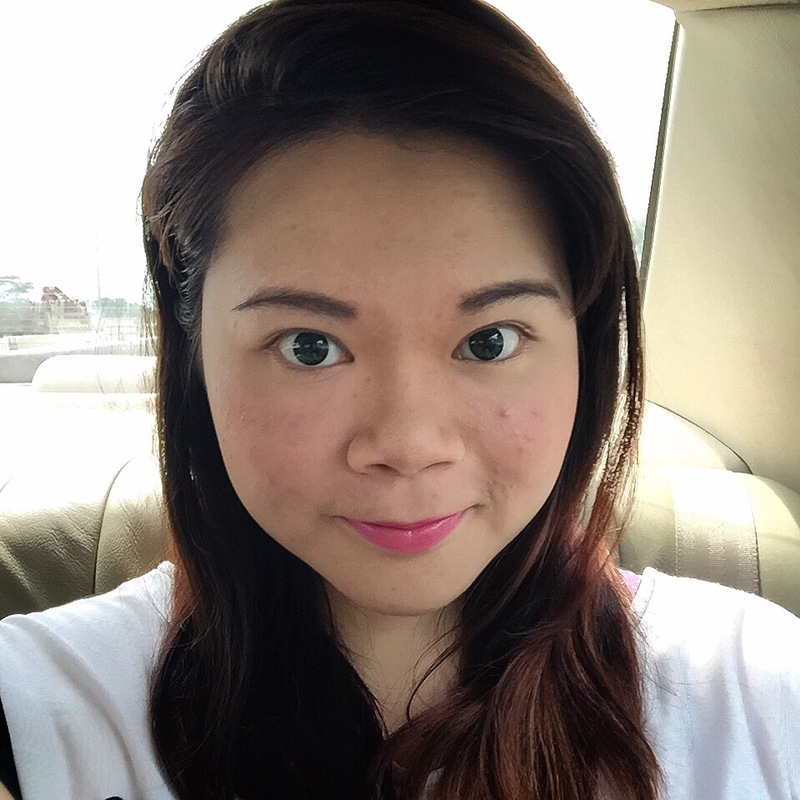 I would say the treatment really helps in nurturing my skin back to an optimal level where it can work better to push out the impurities on it’s own. Lesser clogged pores and blackheads lessen by quite a bit. I won’t say it will cure the root of acne and I don’t expect it to as I know that my acne are triggered by my hormones. 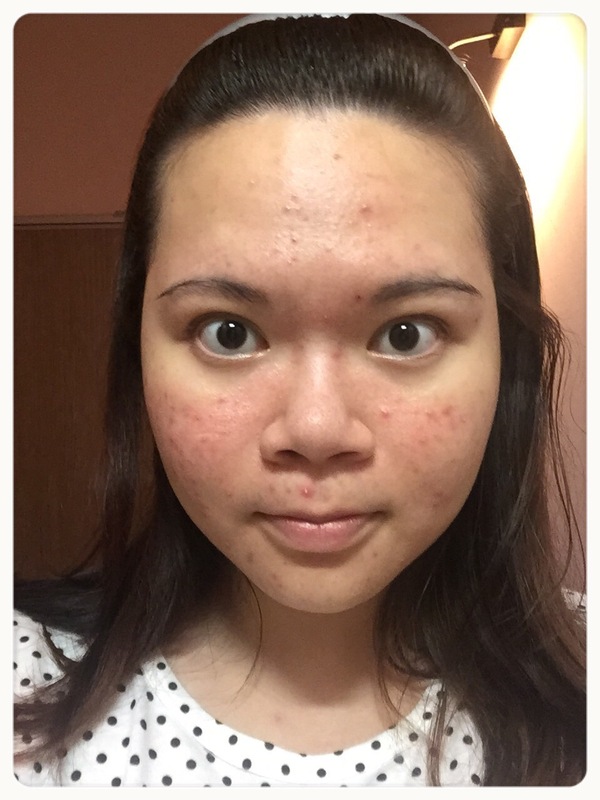 But I’m happy that the process of the acne healing is so much faster nowadays. If you feel that no products work on your skin and it seems to get worse everyday regardless of what you use, or eat. I would recommend you to give Bsoul a try, to help normalize your skin and get it back to optimal health! I’ll be reviewing the Bsoul Facial Products that I’ve be using as part of the home care program in a separate post. Stay tuned for that! Bsoul Facial treatment with Hygeia. Second Update of Bsoul Facial. 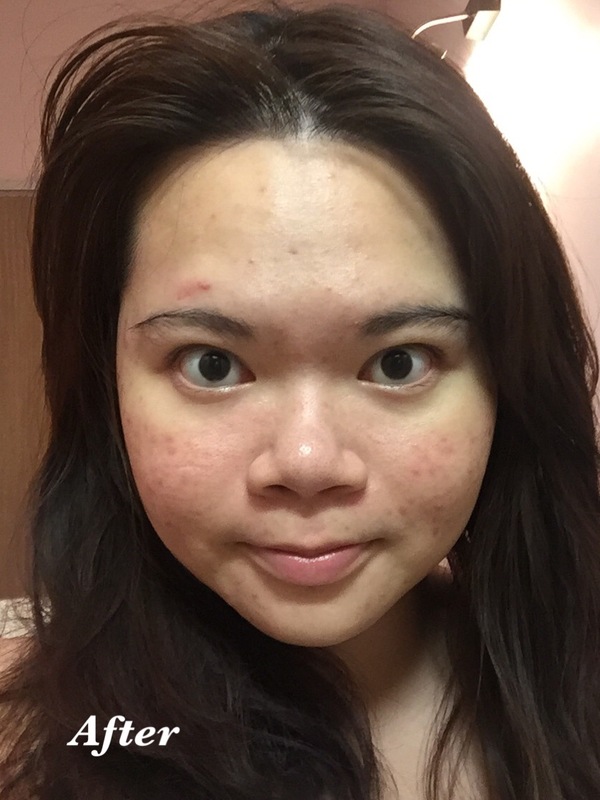 Bsoul Facial Program 3rd Update. 4th Update On Bsoul Facial. 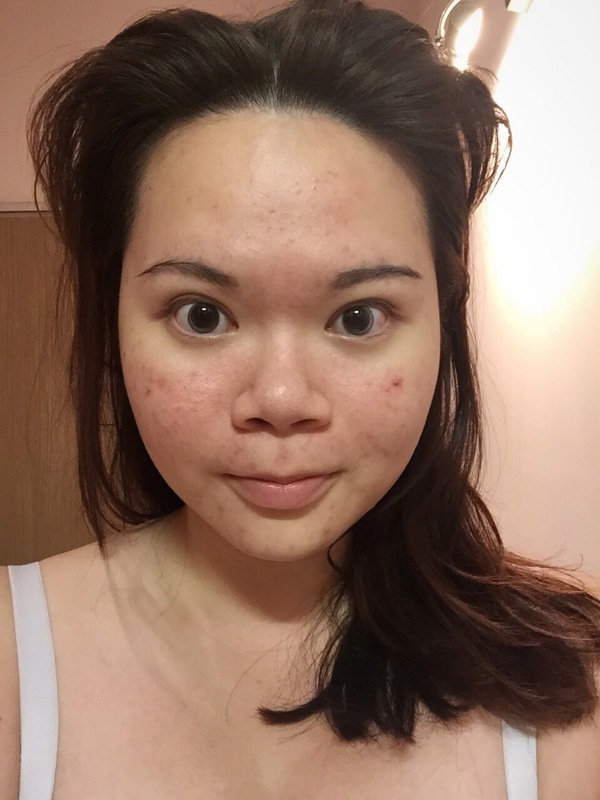 I’m back with another update for my Bsoul Facial Treatment! 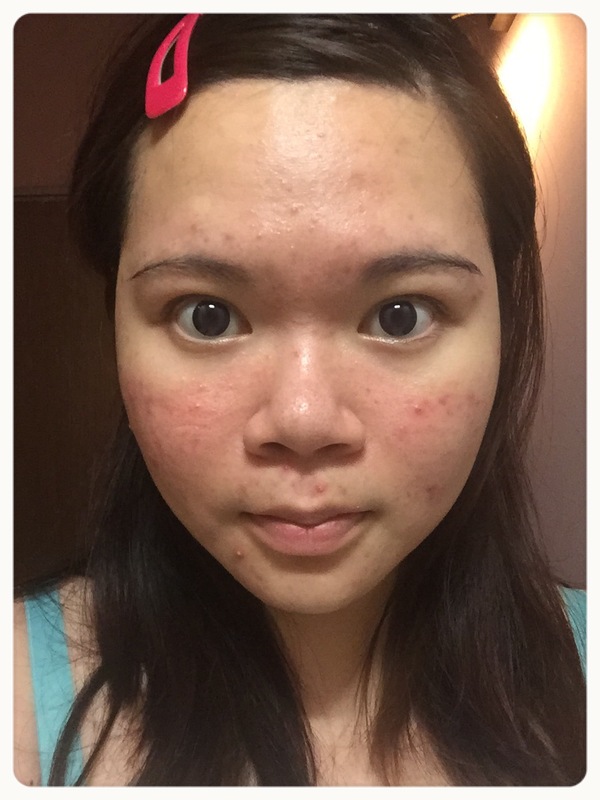 As mentioned in my previous update, I had a sudden breakout before my 5th session and it toned down a lot after the 6th session. But there’s still some very obvious bumps to be treated as shown in the photo before. I always am happy to see how my redness and bumps toned down so much after each session. And remember, this is all achieved with just Bsoul products and unique facial massage techniques. Let’s take a better look at my skin through the “magnifying glass”. Of course, excess oil is clear and you can notice that my skin seems so much finer and smoother in the after pictures. Even the bumps are flatten. It also looks so much softer after treatment. It looks like it and definitely feels so. Here’s how my face looks like after the 8th session. Definitely clear up a little more as compared to the 7th session. The bumps you see are healing scars from the previous breakouts. 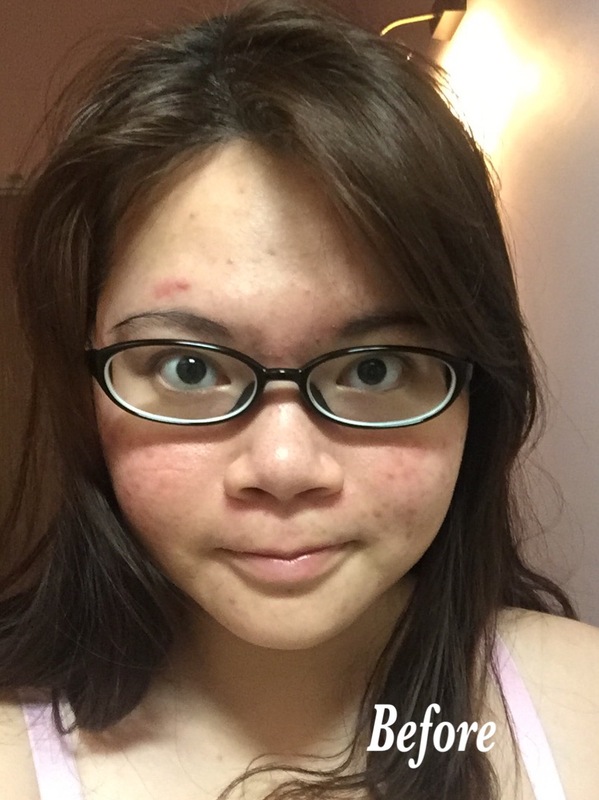 I hardly have new acne coming up except during my period week which is pretty normal due to my hormones. 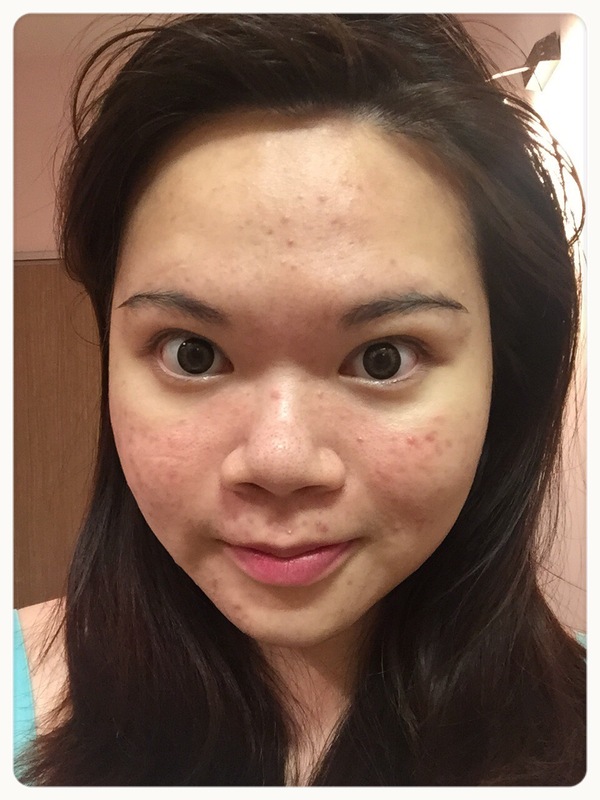 But Bsoul products definitely helps to speed up the healing process of any new acnes. 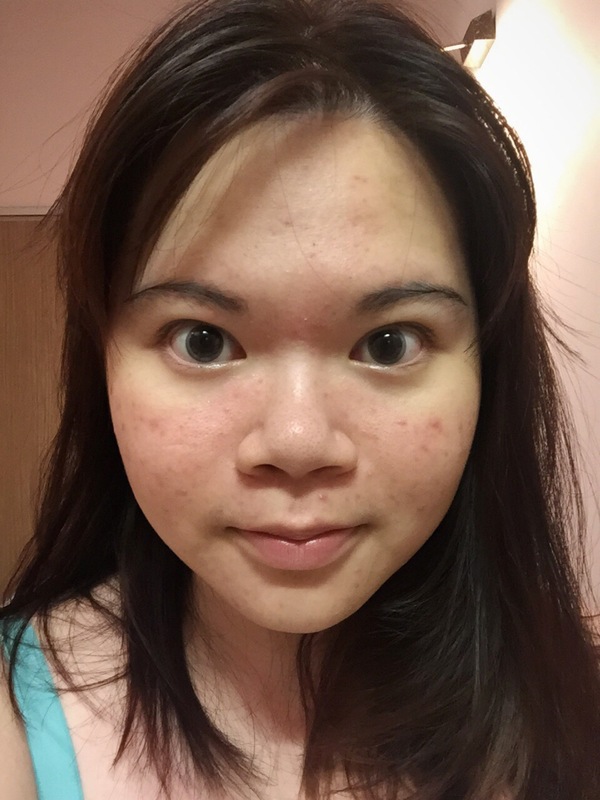 I’ve actually done my 9th session as of this post and my skin has further improve. But that shall wait till I’ve completed my 10th and last session of the Bsoul Facial Program and I write a separate post after that. I must say that so far I’m pleased at the results I see after every Bsoul facial session at Hygeia. It have been 4 months and I’ve seen my skin improved by a lot. Check out my first post on the Bsoul Facial treatment with Hygeia. Here’s another short update on my bsoul treatment. I’ve a bout of breakout before my fifth treatment due to hormones. I think I have a huge hormonal imbalance issue which in turn affect my skin. In order to optimize the facial treatment, we need to take care of our body too. Some issues might seems to be just on the surface but it’s actually from deep within. Here’s a shot of my skin before my fifth session. And this shot is taken right after my sixth session. I did these two sessions within two weeks instead of in a month as before. This is because my therapist wanted to monitor my skin condition and to ensure that my breakouts are under control and being treated properly. 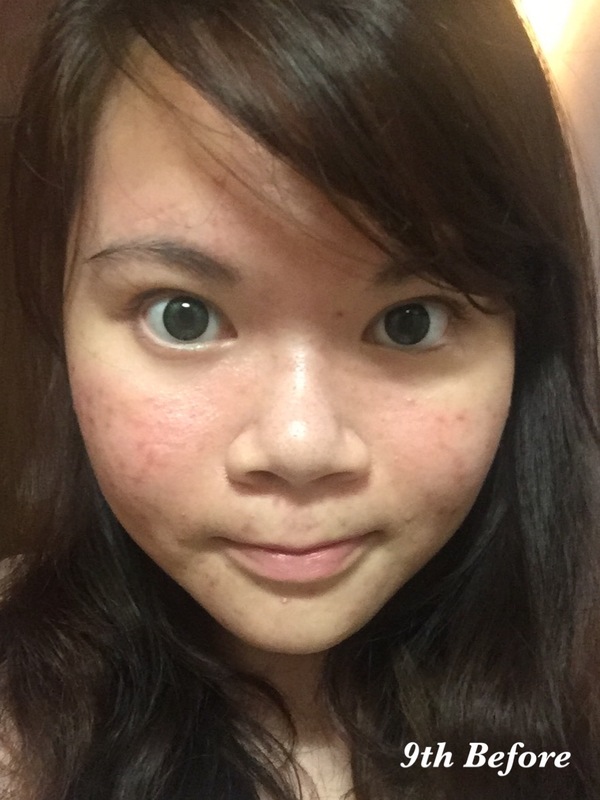 The treatments helped a lot and my breakouts are slowly healing right after the fifth session. The spots you see on the photo taken after the sixth session are actually dried up scars that definitely take longer to clear. Also, the Bsoul comfort cream that I used at home for my skincare routine really helps in clearing up the pimples too. I think it is important to have support and trust in both the treatment and products especially for Bsoul which helps to normalize the skin and eventually getting the skin to work at it’s optimal state. And especially in my case because I know that I’m prone to sudden breakouts that can be quite horrible due to my hormonal issues. But I’ve seen for myself how Bsoul have helped to improve my skin condition and also the fact that my breakout takes lesser time to heal up after being on the Bsoul regime for nearly 3 months. That’s why I’ve faith in the Bsoul and trust that it will help my skin heal overtime. I’ve just ended my fourth Bsoul Treatment at Hygeia so I think its time for a small update about my progress. Before I go on, here’s a shot of me when I just got back from Hong Kong. The whole face is so bloated and round! 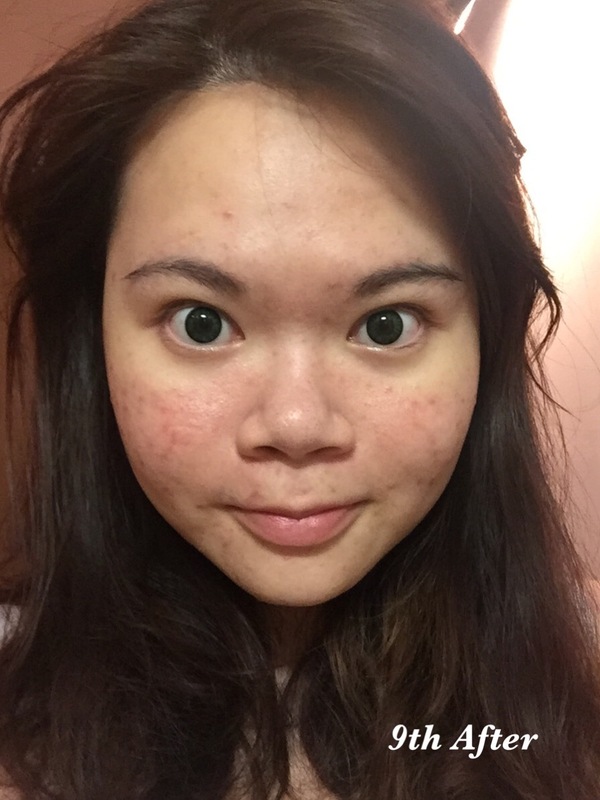 This is right after the third session, my V-shape face is back again. The facial massage techniques used during the treatment helps to reduce the water retention and reduce the bloat. This is after the fourth session. I still am purging but the acnes are healing a lot faster. It’s a long process to get the skin working at optimal level as I’ve subccumb it to so much chemicals before. However, I’m slowly seeing progress. 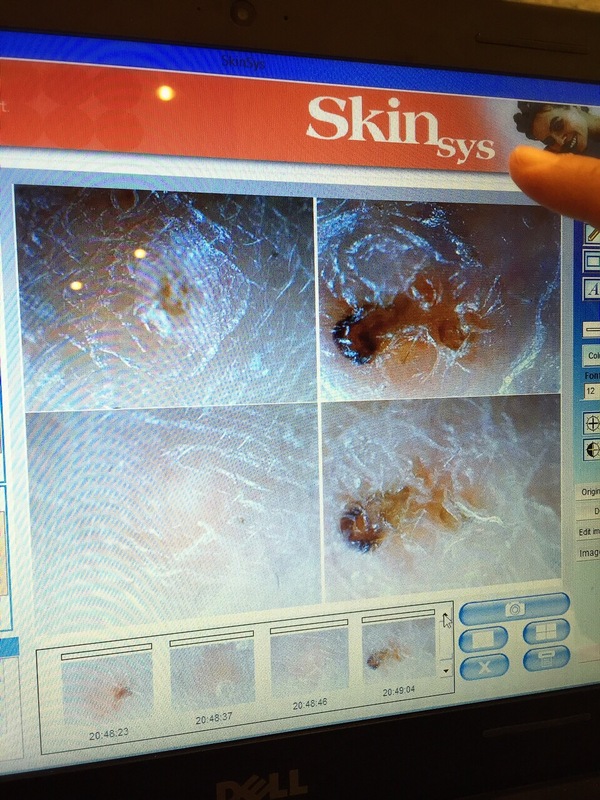 Skin analysis after the fourth session. The images on top are before and below are after. 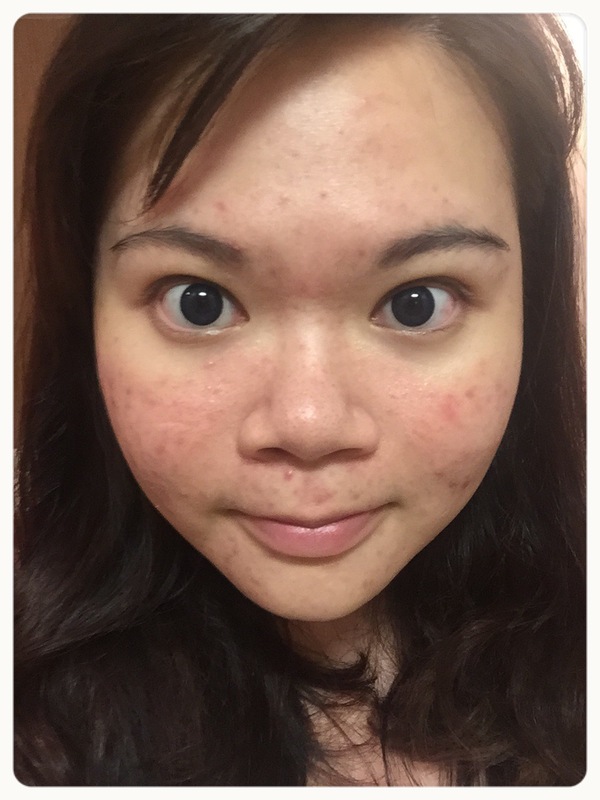 Immediate improvement right after the facial treatment.